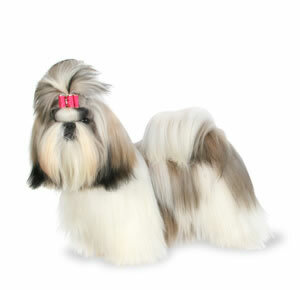 The descendant of regal dogs of China, the Shih Tzu makes a loyal and lively friend. His name means little lion, but there’s nothing fierce about this dog. The Shih Tzu is a lover, not a hunter. Bred solely to be a companion, the Shih Tzu is an affectionate, happy, outgoing housedog who loves nothing more than to follow his people from room to room.